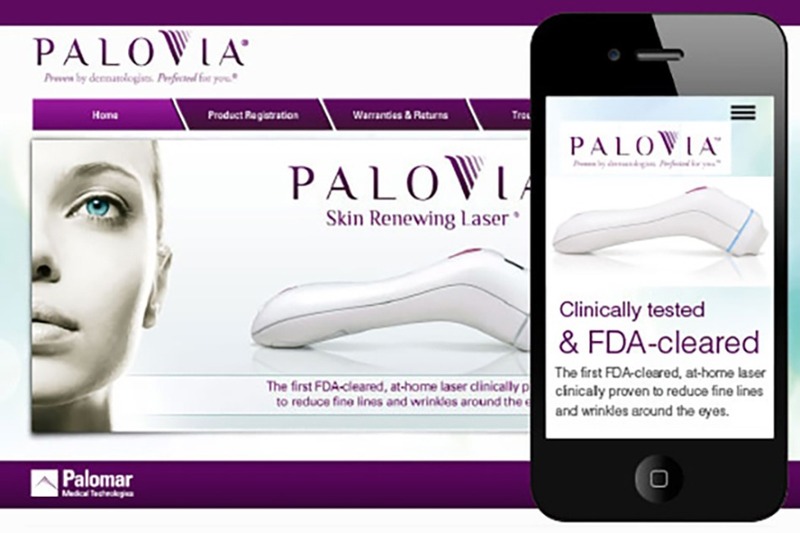 Palomar Medical Technologies is the leader in professional anti-aging treatments. This launch is their first into the consumer market. Work alongside Palomar leadership and global marketing director to introduce the first ever FDA-cleared in-home laser clinically proven to reduce fine lines and wrinkles around the eyes. Following our marketing plan, we developed every single brand and marketing touch point: packaging, e-commerce website, in-store support, print, social media, events, professional materials. Based on successful brand launch, we were appointed PaloVia’s agency of record. 100% QVC sell-through every single segment. Distribution expanded to high-end department stores (e.g. Nieman Marcus, Nordstrom), online retailers and spas. Set stage for Palomar to be purchased by Cynosure, a leader in laser- and light-based treatments for minimally invasive and non-invasive aesthetic applications.